Here it is. The big one. Japanese two-way superstar Shohei Ohtani will play in Anaheim. Ohtani will suit up with Mike Trout, and make the Angels very goddamn interesting. This morning, after a thorough, detailed process, Shohei Ohtani has decided to sign with the Los Angeles Angels. Shohei is humbled and flattered by all the time and effort that so many teams put into their presentations and sincerely thanks them for their professionalism. In the end, he felt a strong connection with the Angels and believes they can best help him reach his goals in Major League Baseball. I want to thank the clubs and everyone else for respecting our intent to make this very important process as private as possible. We were resolved to having a fair, methodical process. Teams clearly put in a lot of work, and we are grateful for that. 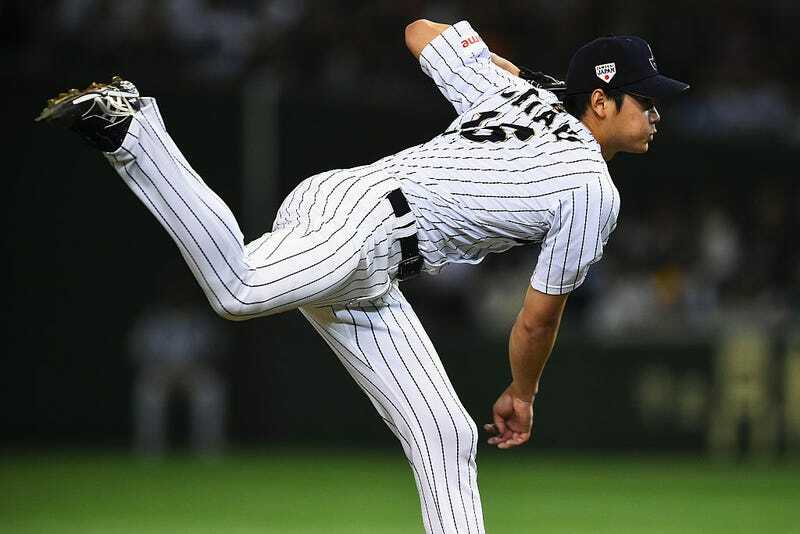 Ohtani had until Dec. 22 to sign with a team. The Angels can give him a maximum signing bonus of $2.21 million. The Angels were reported to be in the mix for Ohtani—he wanted a West Coast team—but most writers spent the week leading up to the signing reporting that Ohtani favored Seattle. Guess not. Now, everyone gets to watch modern-day Mickey Mantle and “Japan’s Babe Ruth” play together in the AL West. Suddenly, one of the league’s weakest divisions is must-see TV.